The question of much speculation has been whether Michael Cohen, the former personal attorney for President Donald Trump, would flip on his former boss. It’s been three months since the FBI raided his offices and residences, but it’s still an unanswered question. Cohen finally sat down for his first interview since the federal raid and he offered some compelling clues. Cohen stated, “My wife, my daughter, and my son have my first loyalty and always will. I put family and country first.” This is a very big change for Cohen since he previously stated that he would take a bullet for Trump. Cohen recently hired a new attorney, Guy Petrillo, who is a highly-regarded former prosecutor who once led the criminal division of the same U.S. Attorney’s office in Manhattan that is conducting the criminal investigation of Cohen. 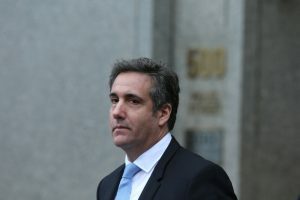 There has been a lot of speculation that this decision could be a sign that Cohen could be on the verge of seeking a deal. After Petrillo officially assumes his role as lead counsel, Cohen plans to exit a joint defense agreement he shared with the president and others potentially implicated in federal probes.